This is a series of book covers I illustrated for the Chronicles of Narnia by C.S. Lewis. The assignment was to illustrate three book covers by a particular author so I chose what I thought were three of the most important books in the series, and designed book covers for them. There is a cover for The Voyage of the Dawn Treader, The Last Battle, and of course The Lion, The Witch, and the Wardrobe. Each cover has a scene from the story, framed by how the children got into Narnia in each book. 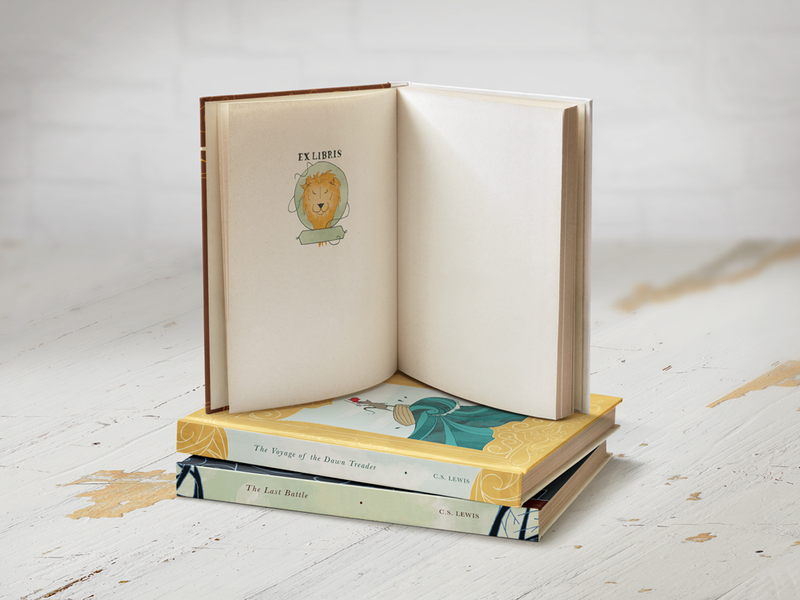 A slip case was also designed to encase the books, which has the lion, Aslan's, mane on it, since he is a constant in each story, and is also the most important character.